Super Opportunity! Rarely available solid family home located in one of the best neighbourhoods in popular Lincoln Park. 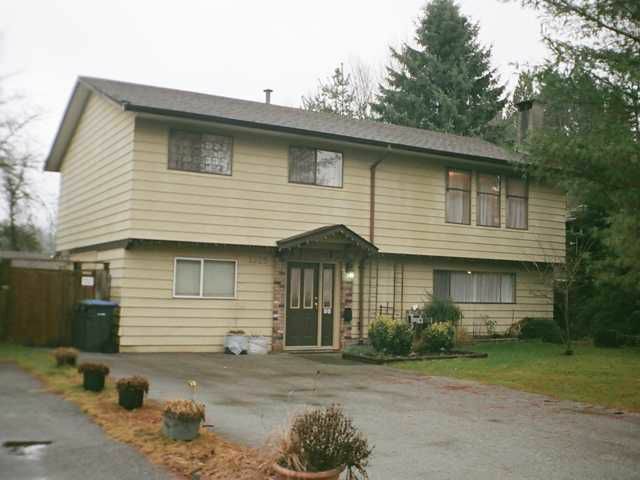 Spacious 3 bedroom main floor with large gourmet kitchen, dining & living rooms. Good sized master bedroom with a twopiece ensuite. Full height partly finished basement with a large recroom. Two cozy W/B fireplaces. Roof 2 years. A very clean home that doesn't have any other recent upgrades. Big 13'6 x 10' covered sundeck overlooking the large fully fenced yard. A nice bonus is the privacy of having no neighbours at the rear backing onto huge fields at Minnekhada Middle School. Very quiet location. Conveniently walk to bus, schools, shopping, restaurants, recreation centre and all amenities. Excellent value!